A Brave Page is a platform to share your story and why your cause is so close to your heart. It also has a fundraising element to it: you can personally raise money for a cause, organization, family or friend in need of support. 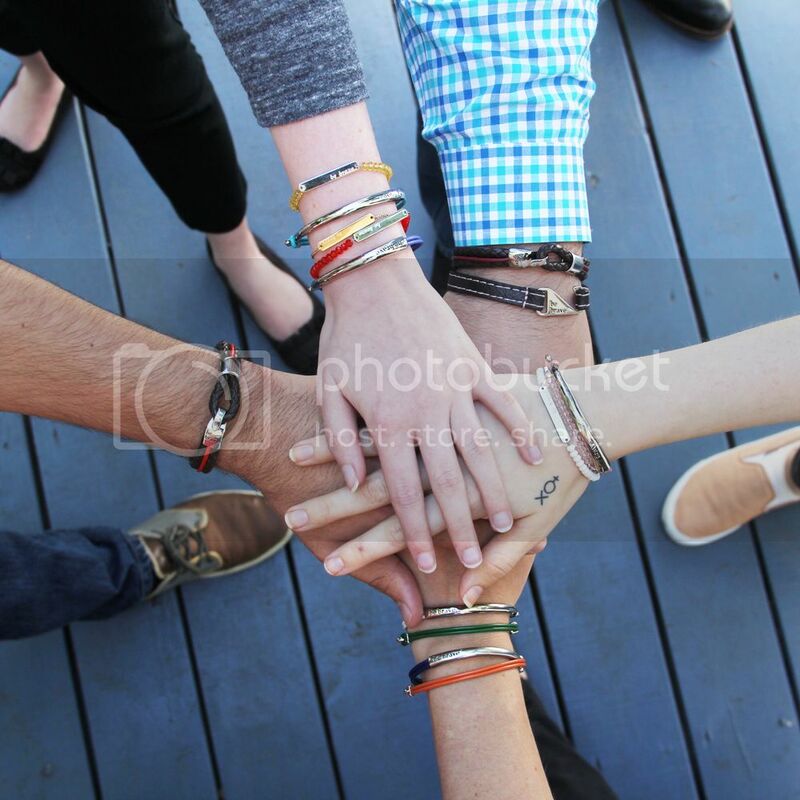 The Bravelet you wear is a conversation starter, a difference-maker, and a stylish piece of jewelry all in in one. Spreading you story through a Brave Page can inspire others to reach higher, give back, and most importantly: Be Brave. And that's exactly what this wonderful Brave Page owner has done. Smart. Observant. Funny. Kind. Artistic.Meet Cate. On Aug. 7, our daughter Cate was diagnosed with B Cell-Acute Lymphoblastic Leukemia (ALL) at Rady's Children's Hospital in San Diego. It is hard to comprehend our active, funny, feisty five year old was learning to surf in the California sunshine days before her life altering diagnosis. We were stunned. In one moment, the life you once knew would be no more. Our precious girl is gearing up for quite a battle. Her medical team believes her outlook is hopeful, but her treatment plan is going to be a long 2.5 year journey. Those who know Cate recognize her feisty warrior princess spirit will undoubtedly carry her through this challenging time. But we have been told to expect the unexpected -- often by taking two steps forward and one step back. Stephanie found out about Bravelets through a good friend of hers and decided to set up a Brave Page for Cate. She hopes to share Cate's story so people can see this cancer through her family and her daughter. Childhood cancer is difficult to talk about...and it is not as rare as you would like to believe. But Stephanie is trying to spread awareness by sharing a personal story for a personal cause. She says that having a token to remind her and her family of their journey alongside Cate, something to keep them brave, really brings a sense of togetherness and strength to Cate's battle with Leukemia. Being able to fundraise with these very tokens of solidarity as well is a plus! The Brave Page fundraiser aspect allows friends and family to contribute to her medical and treatment fund while also keeping Cate in their hearts. But Cate is not her diagnosis, that much should be noted. She is the "Princess Warrior" as she is lovingly referred to by her family. Cate is creative and artistic, and very adventurous. She can often be found riding a dirt bike in a pink tutu! She is positive and vibrant through her treatment, and has a huge support system backing her up. Cate was diagnosed in August and is in the beginning stages of her treatment plan. The battle has been complicated and strenuous, but she remains very positive despite that. You can keep up with her story through her Brave Page or on her Facebook page. Thanks so much to her mother, Stephanie Kingston, for talking with me about their story. Thank you for sharing this highlights with us, your audience. We are happy to participate in something big and important like this community activities. I know you can discover something useful from the article I shared with you.